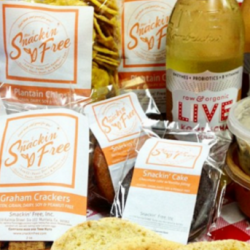 A lack of co-packers with dedicated allergen- and grain-free production facilities will hinder startups and small manufacturers from competing in the quickly growing free-from category, but it won’t stop them for long, as demonstrated by Snackin’ Free’s recent expansion into online CPG sales demonstrates. 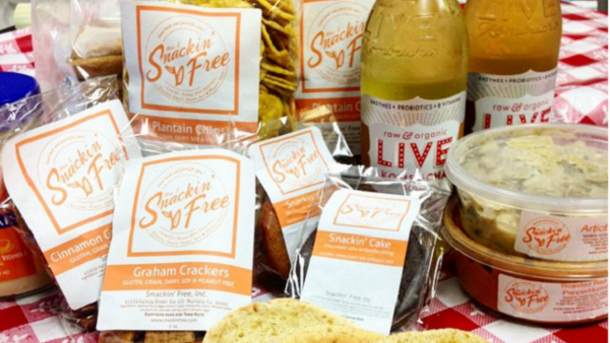 Laura Savinovich, the founder of Snackin’ Free – a California-based bakery offering food free of gluten, grains, dairy, soy, peanuts, yeast and artificial ingredients, was inspired to offer her goods nationwide through her online store after she realized some consumers were traveling hundreds of miles to stock up on her baked goods, granola, sauces and snacks. “We are in Southern California, but we have people who drive as far as Arizona, San Francisco and Las Vegas to get our products. I also have a consumer in Florida who orders products directly from us once a month,” Savinovich said. Eventually, she added, she realized it would be easier to launch an online store and sell her products through Amazon so that even more people on highly restricted diets could enjoy her products. She says her products are different from competitors because they are not just made from allergen-free ingredients but in a kitchen dedicated to making food free from gluten, grains, dairy, soy, peanuts, yeast and artificial ingredients – so there is no risk of cross-contamination. Some other manufacturers that make free-from claims for products made on equipment shared with allergen triggering ingredients, must include a warning on labels about the shared equipment, even though they also must thoroughly clean them. These warnings can scare away consumers with sensitive allergies who most need the products, which is why Savinovich says she refuses to compromise when looking for a co-packer to help her make and fill her online orders. Unfortunately, she has yet to find one that meets her rigorous free-from standards, prompting her to work overtime in her commercial kitchen at her retail shop to fill the orders. “My customers come here because they know everything is clean and completely dedicated. We don’t even bring gluten, dairy, soy or grains into the store – so there is no risk of cross-contamination. To lose their trust [by outsourcing to a co- packer with shared equipment] would have been a big loss and I didn’t want to deal with that,” Savinovich said. But her decision is holding her business back, and likely also is holding back other startups and small manufacturers as well. Given that these are the types of companies that typically bring the most innovation to a category, such a restriction could limit the overall segment’s growth as well. Savinovich says she has a seller on Amazon who will market her products, which include cookies, crackers, cereals, muffins, sauces, snack bars, dressings and other treats, but she hasn’t been able to fill the order yet for lack of an allergy- free packager. She acknowledges she is frustrated and already works more than 12-hour days most days a week. But she hopes to fill the order in the next few months with help from her staff, most of whom have dietary restrictions and are dedicated to Savinovich’s high standards. If Savinovich cannot find a dedicated allergen-free co-packer she says she likely will need to move to a bigger kitchen. She also hopes that one day she can help others in the same restrictive position by opening her own dedicated co-packing facility. While that part of her dream is farther in the future, she is confident that there will still be a need for specialized co-packers because the free-from diet is not a passing fad. 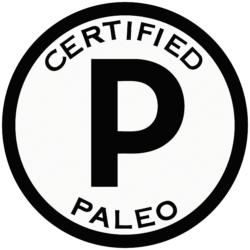 Paleo, gluten-free and allergy-free diets and those who follow them are evolving, but they also are growing, Savinovich said. She explains that she, like many others, started following the paleo diet as way to lose weight. But she stuck with it long after meeting her weight-loss goal because she found it helps her auto-immune disease. She believes that as others discover how their diets can impact their health beyond their waistline, the diets will grow in popularity among the auto-immune community. She also thinks the paleo diet will appeal to people who are drawn to vegan fare because it also is plant-based and focused on whole foods. That said, Savinovich said she suspects the paleo diet “might die out” in the gym scene, which already is turning its attention to the macro and keto diets. Similarly, otherwise healthy people who started the gluten-free diet to help lose weight also might turn their backs on the diet, but for those people who have an intolerance, the diet will grow in importance. 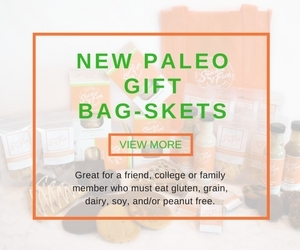 And it is for those people who need allergen- and grain-free options to manage their health without sacrificing good tasting food that Savinovich remains loyal to her uncompromisingly high standards to make high-quality, free-from products more widely available.